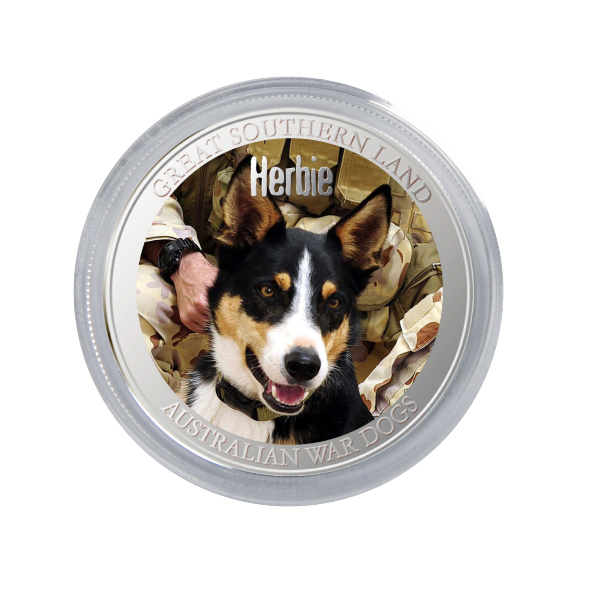 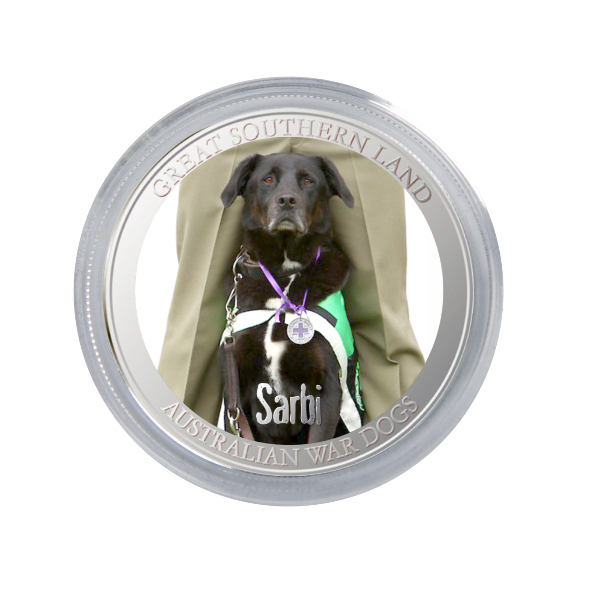 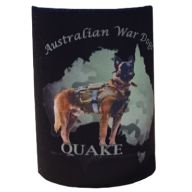 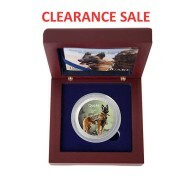 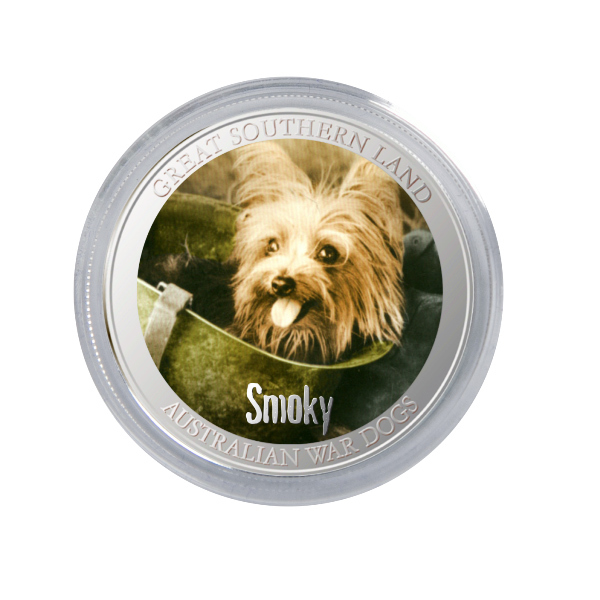 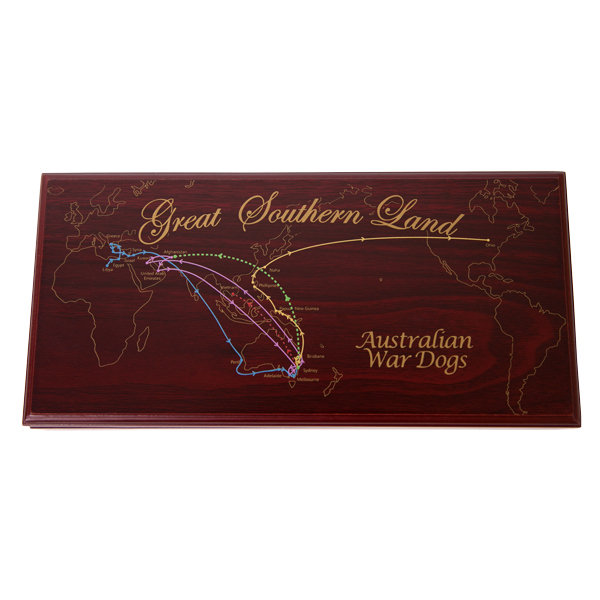 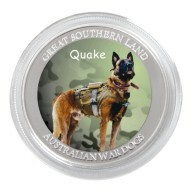 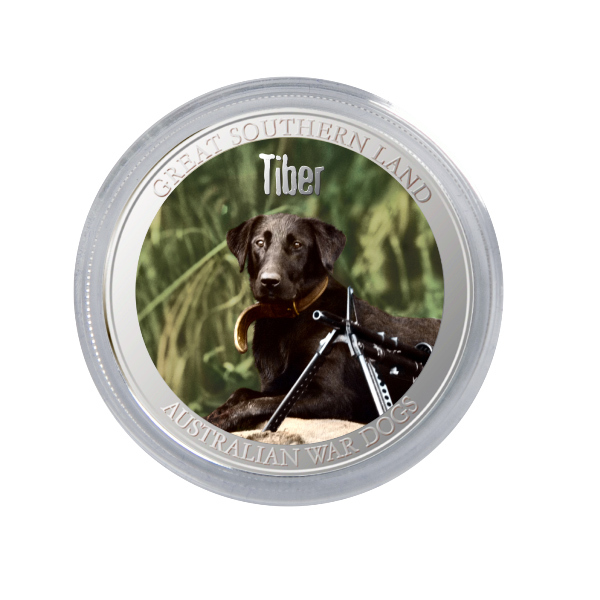 This stunning product features 5 Australian War Dogs; Smoky, Horrie, Tiber, Herbie and Sarbi, immortalised in full colour 999 fine silver coin-like bullion. 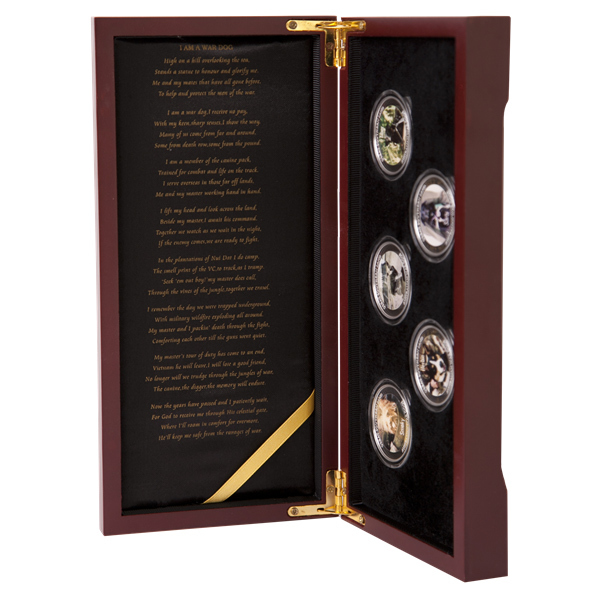 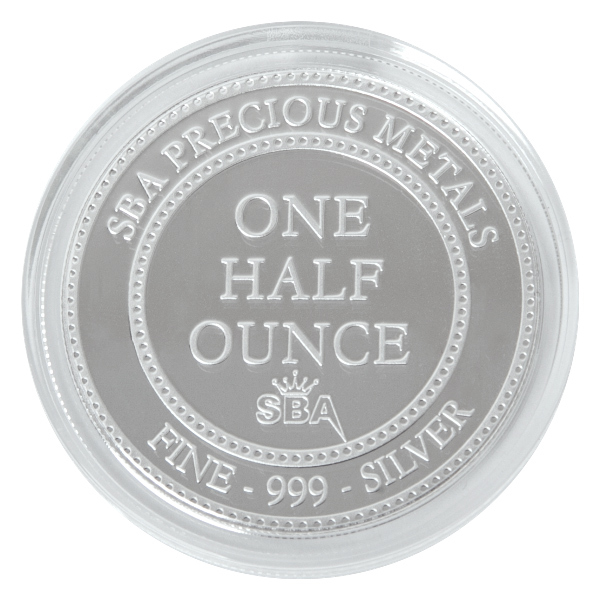 Each Coin-like bullion round weighs one half ounce each and is displayed in a beautiful custom made box. 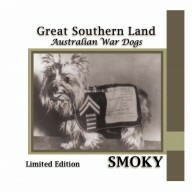 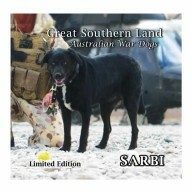 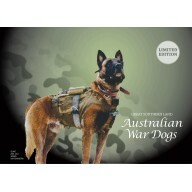 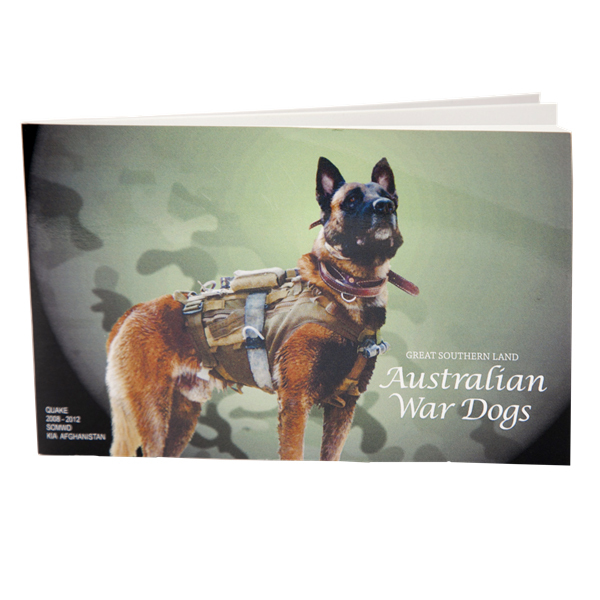 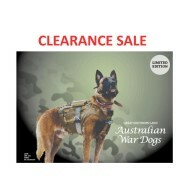 The set also includes an informative and thoroughly researched booklet with information supplied by best selling authors Nigel Allsopp, Roland Perry and Sandra Lee, which gives you a snap shot of each dogs life and travels, through WWII, Vietnam and Afghanistan, as well as an insight into the history of dogs in war. 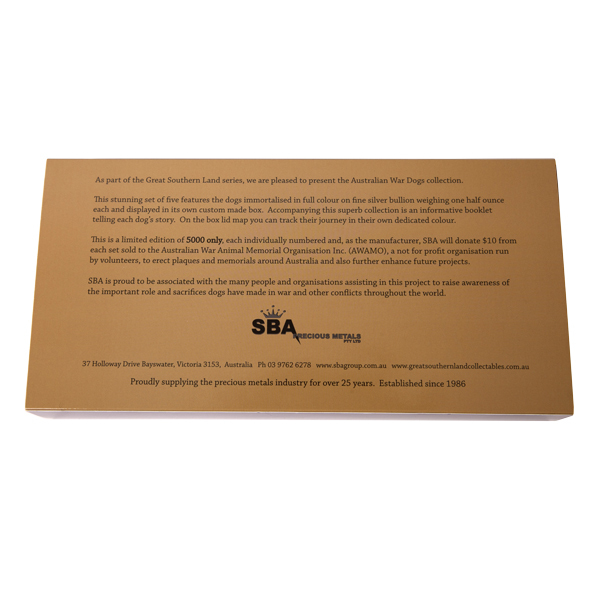 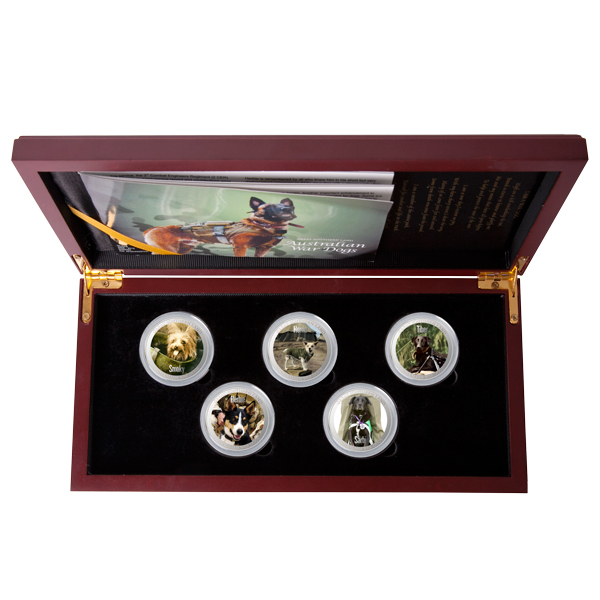 Each set is individually numbered with a certificate of authenticity. 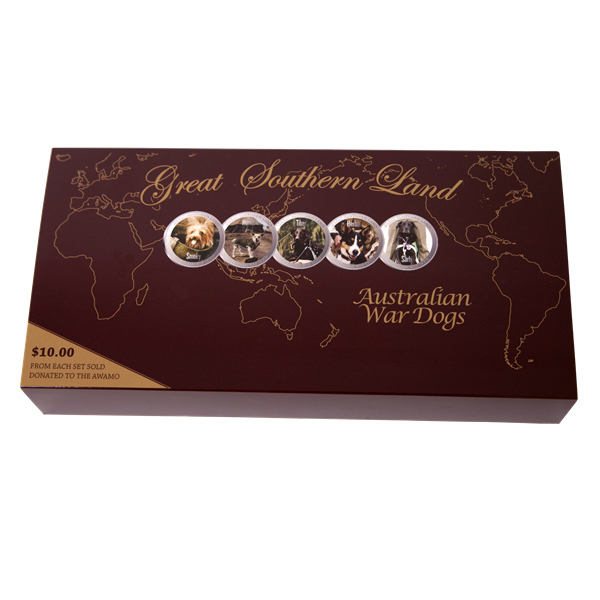 The edition is limited to 5,000 sets worldwide and is a must have for dog lovers, military buffs and coin collectors alike. 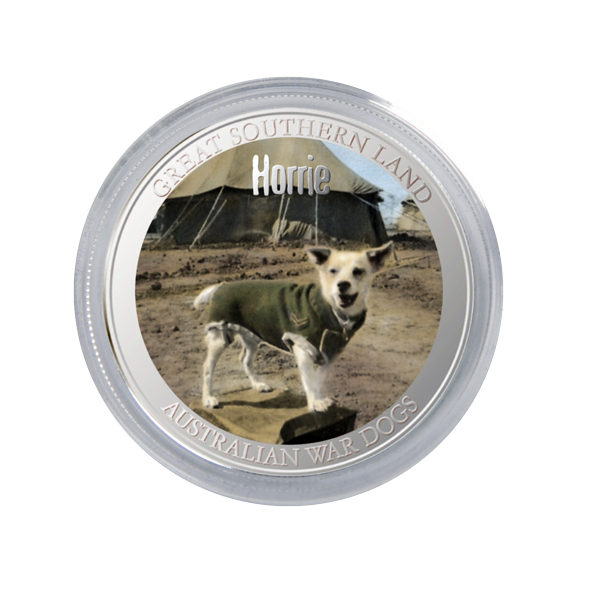 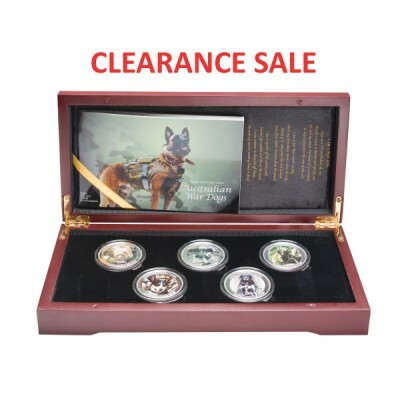 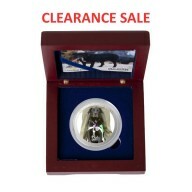 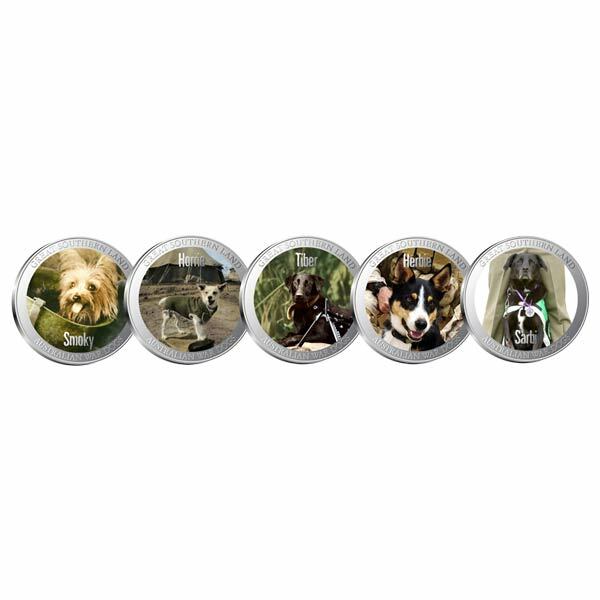 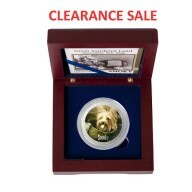 This unique set of coin-like bullion forever immortalises these heroic dogs and remembers their steadfast loyalty.